WHAT: A rally that drew hundreds to downtown Toronto on Sunday to show support for those killed in separate attacks in France last week. 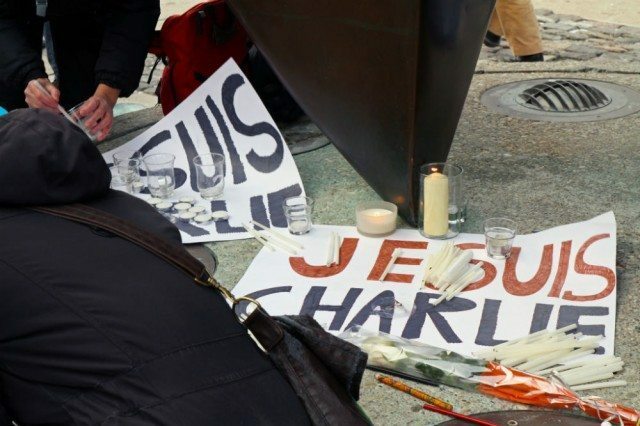 Many carried pencils and pens—symbols of free speech and references to the victims of the massacre at French satirical magazine Charlie Hebdo. Rallies also took place in Ottawa, Montreal, and Vancouver—as well as cities around the world. More than three million people took to the streets of Paris on Sunday to honour the dead, condemn the violence, and express their support for free speech.